After days of conflicting statements about a timeline for President Donald Trump’s decision to withdraw American forces from Syria, a U.S. defense official said Friday the process has begun with the removal of some military cargo. The official said the movement of equipment is part of what the military calls a “deliberate withdrawal” from Syria, where some 2,000 troops have been working with a coalition of Syrian Kurdish and Arab fighters to defeat the remnants of the Islamic State group. The official, who spoke on condition of anonymity to discuss details that have not yet been publicly announced, provided no numbers, but said the equipment withdrawal is underway and that an unspecified number of additional U.S. troops have been brought into Syria to assist with the process, including by providing additional security. Hours earlier, Col. Sean Ryan, spokesman for the U.S.-led coalition fighting the Islamic State group, said “the process of our deliberate withdrawal from Syria” has started. He said the U.S. would not discuss a specific timeline, locations or troop movements out of concern for operational security. There has been confusion over plans to implement Trump’s pullout order and threats from Turkey to attack the Kurdish fighters, who Ankara views as terrorists because of their ties to insurgents within Turkey. “The Americans have a right to make decisions that are in their country’s security and national interests,” said Ilham Ahmed, who co-chairs the U.S.-backed Syrian Democratic Council in northeastern Syria. She added that the peace and stability of areas U.S. forces withdraw from “must be guaranteed,” including by putting an end to the Turkish threats and fully eradicating the Islamic State group and its sleeper cells. There are 2,000 American troops in Syria. Trump’s abrupt decision in December to pull them out, declaring in a tweet the defeat of IS, sent shockwaves across the region and prompted a flurry of criticism from some of his generals and national security advisers. It led to the resignation of U.S. Defense Minister James Mattis and the top U.S. envoy to the anti-IS coalition. It also led to major criticism that the U.S. was abandoning its local Kurdish allies amid Turkish threats of an imminent attack. “These have been folks that have fought with us and it’s important that we do everything we can to ensure that those folks that fought with us are protected,” Pompeo said of the Kurds while visiting Irbil, the capital of Iraq’s semi-autonomous Kurdish region, after talks in Baghdad. Speaking to reporters in Moscow on Friday, she said it appears the U.S. “is looking for a reason to stay.” She said Russia has not seen public statements laying out the U.S. strategy in Syria and so cannot be sure that the U.S. is serious about leaving. 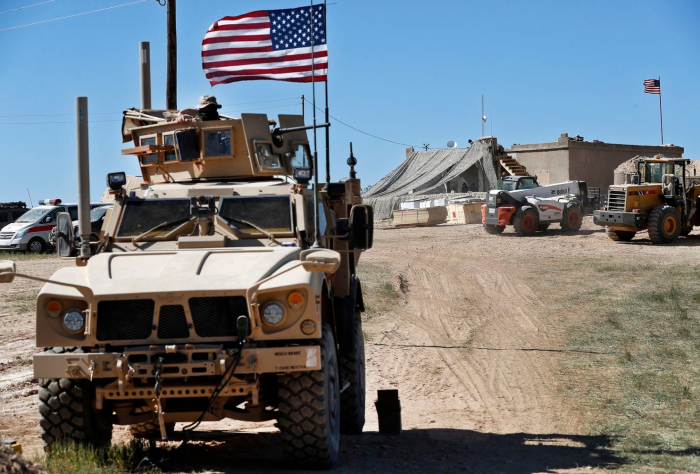 U.S. troops have been involved in Syria’s war since 2014, when the first elite forces arrived in the country to advise Kurdish-led fighters battling the Islamic State group.